Do you Have a Website with Premium Design? Still It not Doing Well in Search Results. This Question revolves Around in Minds of Many Bloggers. Why their Site is not getting Traffic they deserve. Do you Ever think that May be Your Site May not be Search Engine Friendly. It Could be Reason for Ignorance of Search Engine. Google Likes Websites that are SEO Friendly. After Reading these Articles you Will Got an Idea With Google Needs From Websites. Now We Will Discuss How Make Websites Search Engine Friendly. Keywords are very Important in Search Engine. Google Rank Specific Articles according to Keywords and Also, the Visitors Click on Website in Search Results where they s most appropriate title related to their problem. So always use Primary Keywords in the title . For Example , If you have created a Related Post Gadget For Blogger then You have to Give that Post a title ” Related Posts Gadget For Blogger” . Quite simple example, but it includes different combination of keywords which can bring you good traffic. So, you also need to do the same with your articles. URLs are Also very Important as Short and Keyword Rich URLs Generally Rank Higher in Search Engine. For Example , ‘www.mybloggerworld.com/SEO-Friendly-website ‘ is much Better than www.mybloggerworld.com/SEO%?id=149. Keep URLs Up to 5 or 6 Keywords and Only Write Main Keywords. Some People say that Meta tags has Nothing to do with Search Engine Specially Google. But I say Meta Tags still have Some Importance especially Meta Description Tag which will Show Description of our Website in Search Result. It Will Improve CTR of Website in Search Result. Inbound Links Generally Known as Backlinks is very Important for every Website as it Improves Ranking and Also Brings Traffic. To get More and More Backlinks Write High Quality Content so other Websites get Attracted to your Content and Refer to your Articles in their Posts. There are Some Other Ways to Build Backlinks by Commenting , Guest Posting , etc. Write Unique Content Minimum of 600 Words Per Article. Long Articles Attracts Search Engine. You Can Also use Images and Videos to Make Post More Attractive for Visitors But Don’t Over Do it. As Search Engine Robots Don’t Understand Images and Videos . 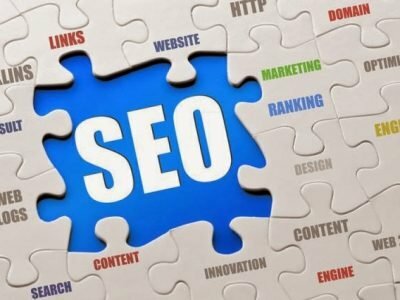 Never Ever use Illegal Ways Commonly Known as Black Hat SEO Techniques for Getting High Rankings. These Techniques are Just A Waste of Time Because Google Will Punish websites using Bad Methods to get Traffic. 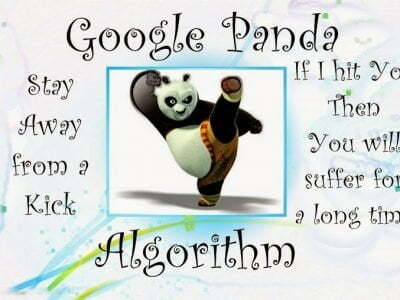 Google has Panda and Penguin which Never Let Low Quality content or Bad Backlinks Website get on Top. So Always Remain Positive and Use White Hat SEO Techniques . These Techniques Will Take Some Time but they have Permanent Good Effects on Websites. Now, that’s it with the Article. I hope you liked it. Don’t forget to share your views via comments.